Life has been more than just an ordinary journey for this lady and there isn’t much that Adriene Law hasn’t experienced or encountered. From a place of consistent defeat and failure, she started to discover her worth and value through the eyes of God and Jesus Christ. Adriene had no purpose, felt no value and saw little worth within herself. As failures mounted up they took her to deeper levels of despair and darkness, and for most of her life she wore the labels that said “Hello, my name is: Failure, Mistake, Unwanted, Worthless, Unloved and Rejected”. A very powerful and transformational life change began to happen when she started to see things through the lens of the cross. Taking the focus off of herself and placing it squarely on Jesus, Adriene saw a Father who loved all His creation, including herself. When she stopped blaming God for everything and instead started embracing His vision for her, it was, and still is, a very empowering perspective. Dominant enough to positively impact her whole world and bring freedom to every facet of her life! Today, Adriene is an amazing wife and mom, truly loved by her family. She’s a daughter, a sister, a friend, and most certainly an ever-growing, ever-evolving Christ-follower. Adriene is passionately in love with the discovery of who she has been created to be and the God who created her. 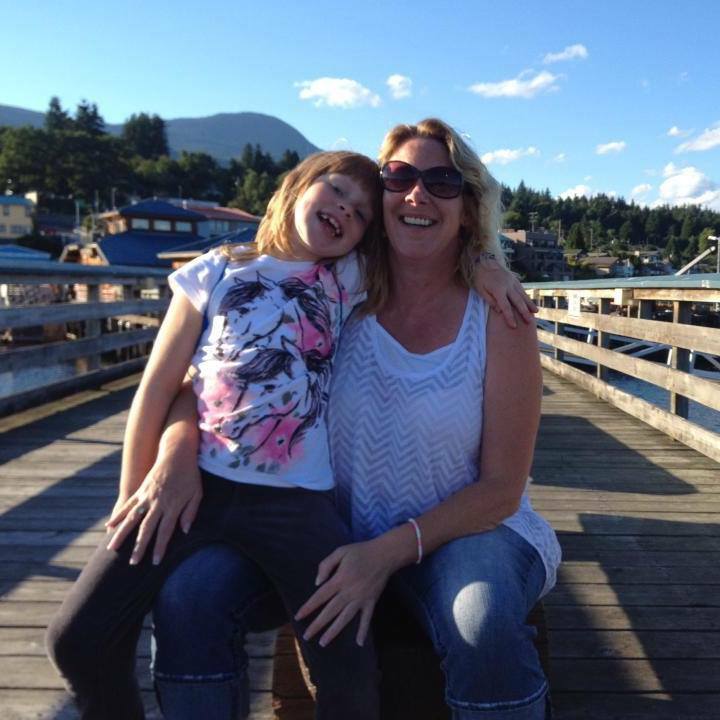 Adriene lives in Langley, British Columbia, Canada with her husband Steve and her two daughters, Heather and Hayley. As a family they love movie nights and playing board games, sports, camping and fishing in the summers, spur of the moment road trips, and making lots of memories together. There is nothing that Adriene loves more than a good, engaging conversation! In this book, she writes in her appealing conversation style; and you feel as though you are sitting in a big old comfy chair, enjoying a hot tea or coffee, and talking intimately about real life experiences, trials and overcoming.